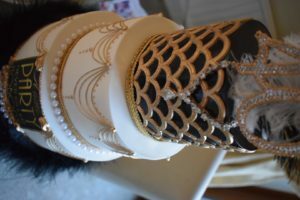 Not only do we create fabulous wedding cakes but also show stopping birthday cakes, just take a look at this latest great gatsby design by Lisa Marie. 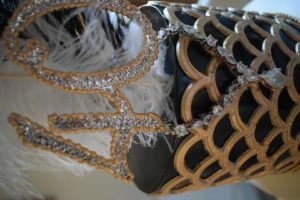 With super attention to detail, we themed in each element to compliment everything at the party. (Even down to a ‘Let them eat cake’ photo frame that sat next to our cake.) It’s all in the details. 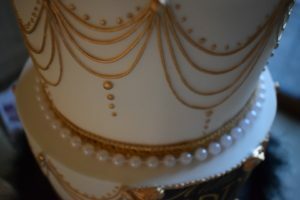 Luxurious golds, piped looping details and pearls were just a few features. Each tier was a different scrumptious flavour for the party guests to enjoy. A sleek, perfect sharp finished showed off all the edible details created. 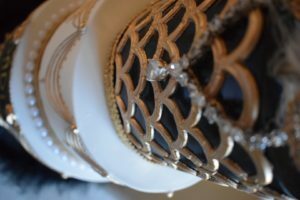 We love creating bespoke cakes for clients, the more details we have the more bespoke we can go . 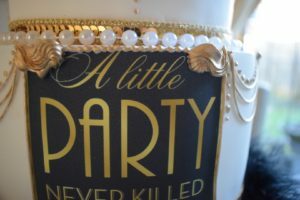 A cake is a real talking point at a party and a fabulous place to take photos for your social media . 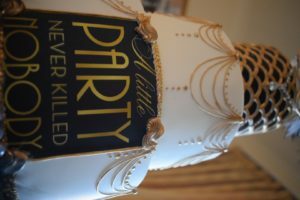 So make sure your party is talked about for all of the right reasons too! Where ever your party location we can deliver & set up your celebration cake. We cover lots of areas including..
Leeds & many many more! 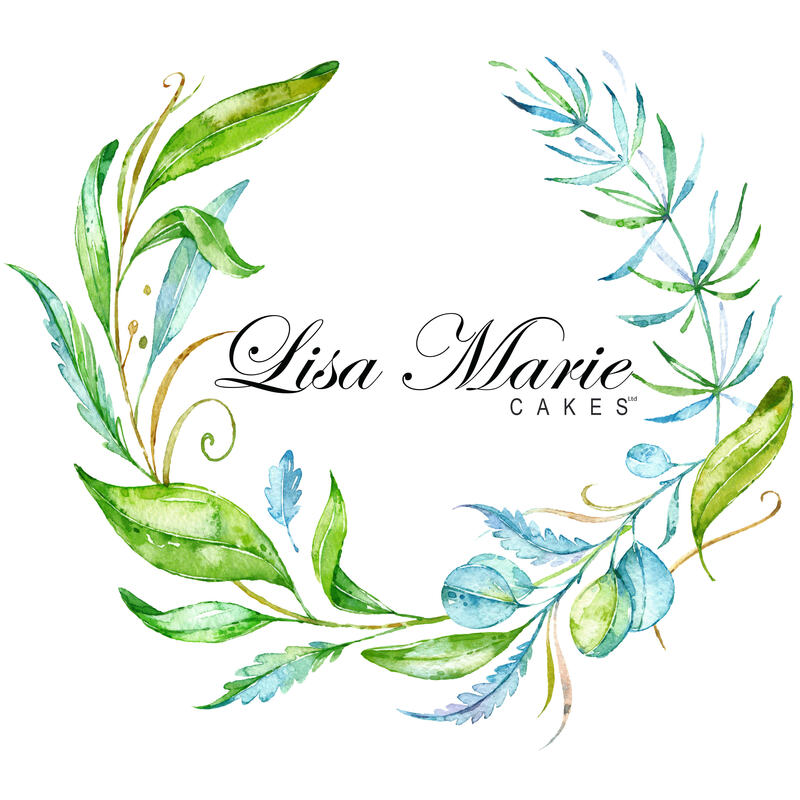 We have even delivered cakes to lots of other areas in the UK including London & Cornwall! And if you at really lucky Scotland could be an option too!